CyberLink Power2Go - download in one click. Virus free. Download the latest version of CyberLink Power2Go with just one click, without registration. It comes with a safe official web installer for Windows. 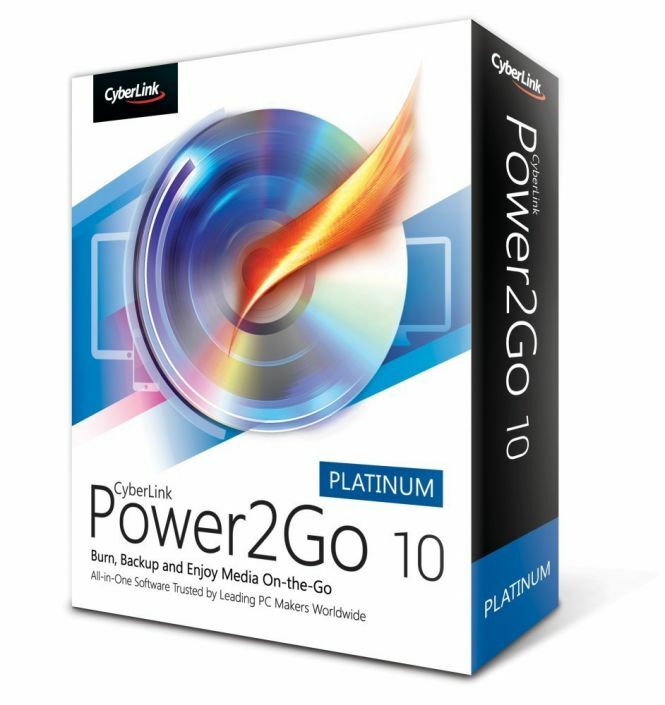 CyberLink's Power2Go is one of the most popular burning suits offering a wide range of tools for creating, managing, converting, burning, sharing, and backing up your media files. CyberLink Power2Go is best known for its professional burning tools. The software allows you to burn video, audio and photo slideshow to CD, DVD and Blu-ray discs in an easy manner. Power2Go lets you create your projects by dragging your files onto the Desktop Burning Gadget. If you don't want to spend much time on creating your own menu, you can pick one from an array of available templates and customize it with music and text. With Power2Go's Disc Manager, you can view all the projects you've already created as every time you burn a disc, the tool saves the file so you can quickly find it when you need it. The efficient ISO Viewer tool also allows you to view your contents from ISO files in the same way as if you were viewing them from a disc. CyberLink Power2Go lets you convert to and from a vast variety of popular image, audio, and video formats, even UltraHD 4K movies. If you want to convert and transfer a file to one of your devices, the Smart Detect tool will recognize the best fit output format as soon as you connect the gadget to your PC. CyberLink Power2Go provides options for backing up and protecting your files. 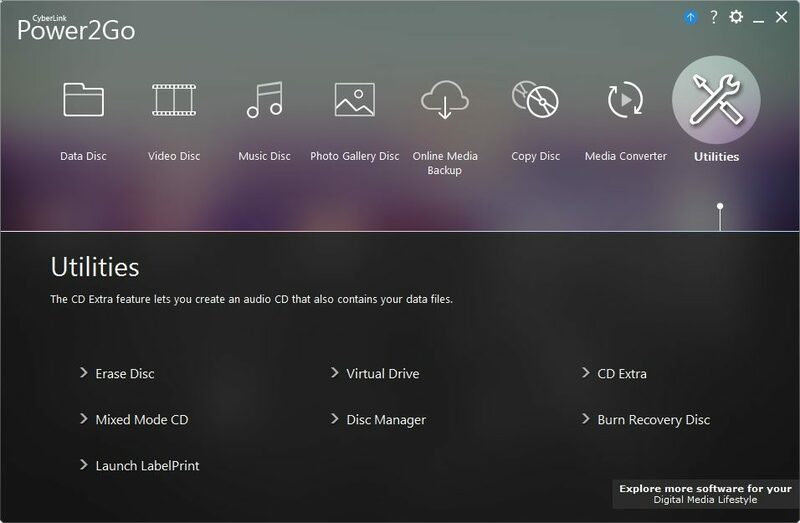 The System Recovery Wizard tool will help you create bootable discs to recover your Windows system data. The program also allows you to encrypt your data before burning it to a disk. These encrypted files will be hidden until you enter the correct password. CyberLink Power2Go is a comprehensive utility for creating and burning your files to disks. It contains everything you'd expect from a burning suite and even a bit more. Moreover, it has all its advanced tools wrapped up in an attractive and easy-to-use interface. Burns audio, video, image, and mixed media discs. Supports popular video, audio and image formats. Allows to create slideshows from your own photo files. Power2Go Express mode allows to add files to desktop using the drag-and-drop option. Provides options for backing up your system files. Allows you to protect your files by encrypting them. Limits: Premium features are available for 15 days.